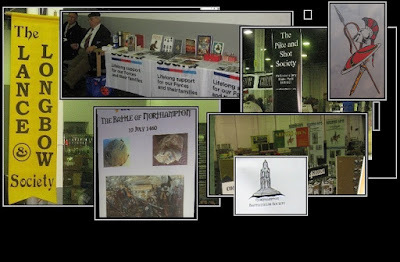 As a one time petrol-head I'll happily put up with chilly feet and a concrete floor for the sweet music of the racing engines screaming around the circuit outside in free practice. 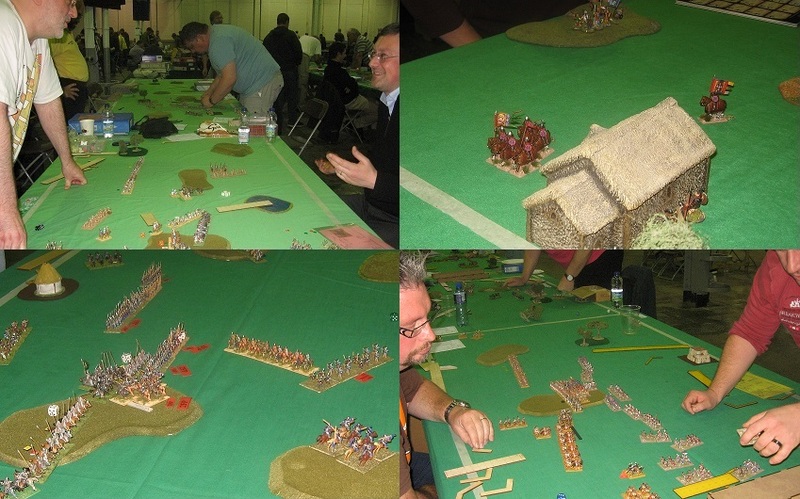 Yes, it's the first weekend in October and we're back at Donington for the Derby Worlds event. 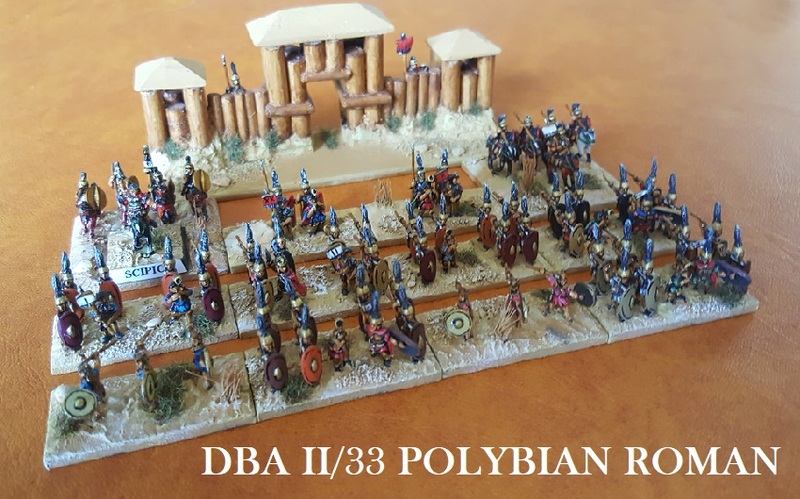 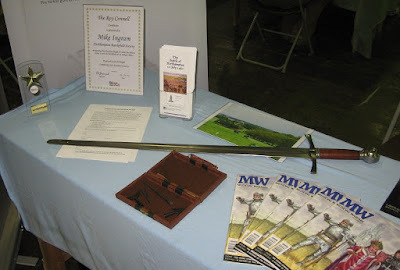 The Society of Ancients combined this time with the Northampton Battlefields Society for another presentation of my DBA V3 treatment of the 7th century Battle of Yarmuk. 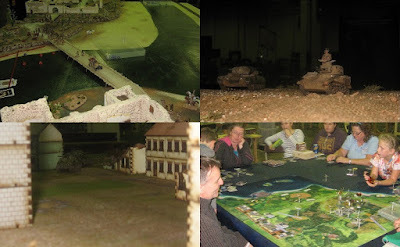 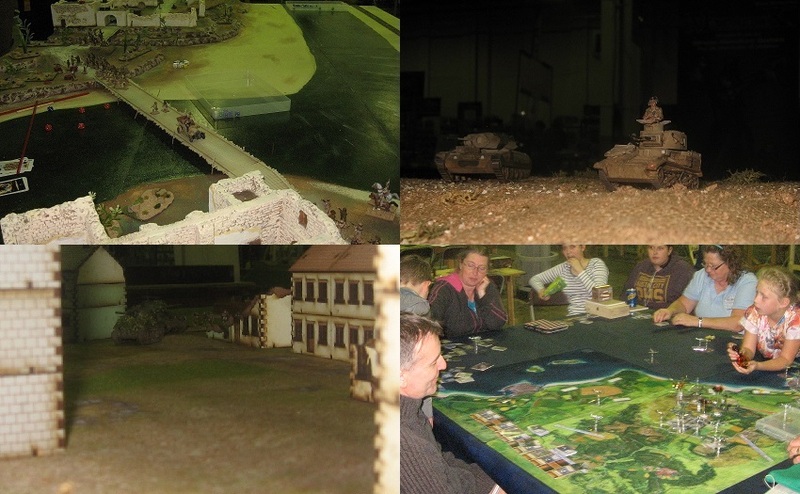 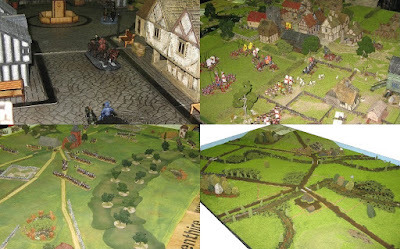 .. the usual suspects perhaps but it is good to see all these organisation still going strong, getting out on the road and supporting historical wargaming and wargames shows and events in the manner they have for decades now. 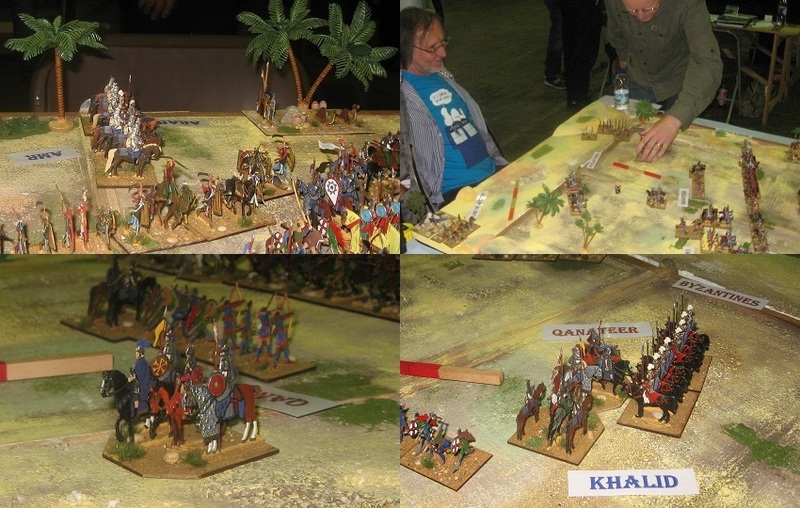 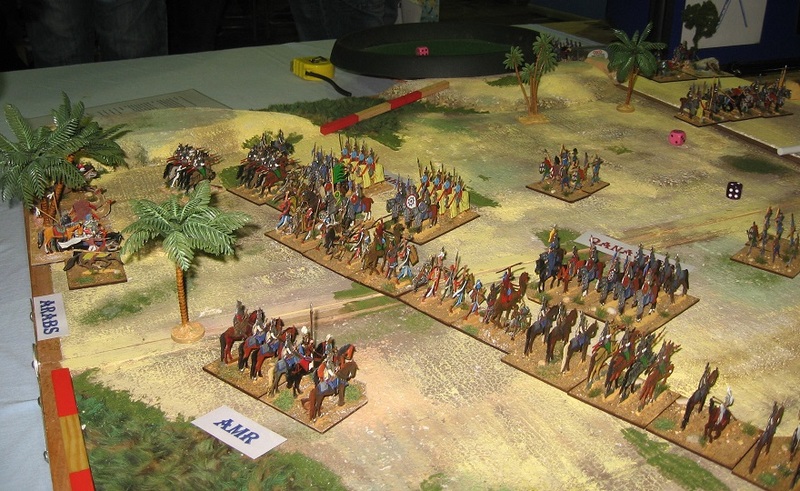 The battle was fought using traditional flat tin soldiers from the 1960s collections of Phil Barker, Tony Bath and Deryck Guyler ... staged and added to by Phil Steele to reconfigure the armies to the Yarmuk scenario. 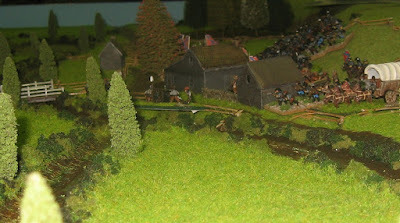 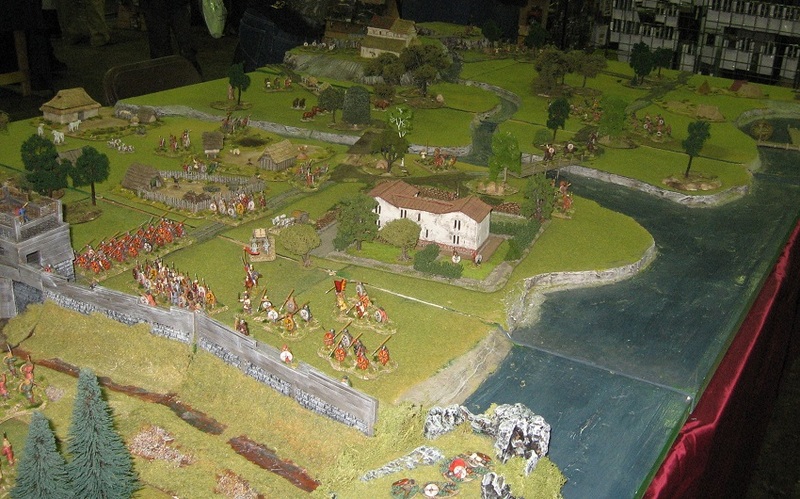 The battle was refought using DBA version 3 and the figures were based on a standard 60m frontage. The battlefield was approximately 3'x4' but the wargame begins with the armies pre-deployed as at the start of the critical phase of the battle. 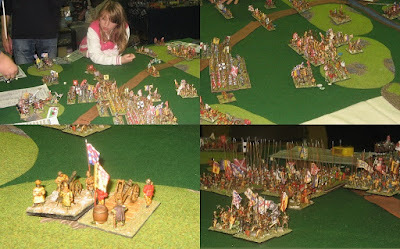 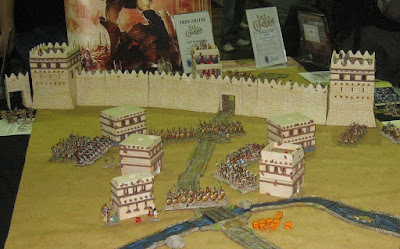 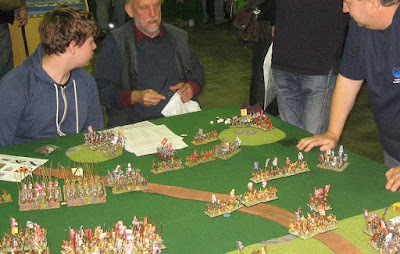 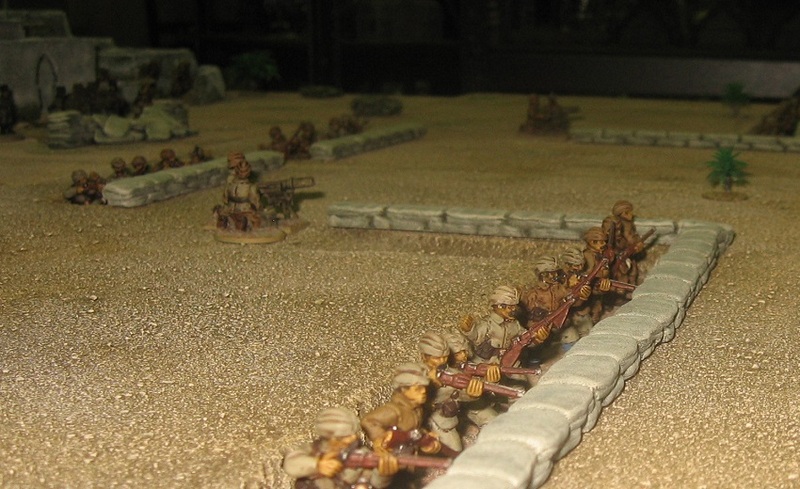 The game was based on the latest evidence from the battlefield, successfully played out to a home variant of Warlord's Pike and Shotte rules. 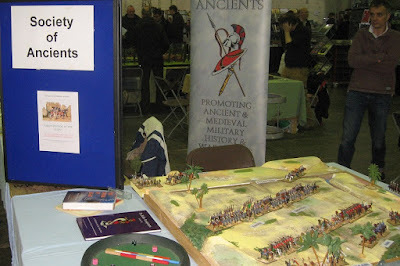 All in all, another splendid and well organised event ... thanks to everyone who stopped by to talk about old flat tin soldiers, 50 years of the Society of Ancients ... the manifold merits of DBA V3 and chew the wargame fat for a while. Its never too late to join in The Championship ... play DBA V3 in The English Open ... or sign up for The Society of Ancients.